1. Connie' new kit Hunny Bear was the inspiration for today's game. 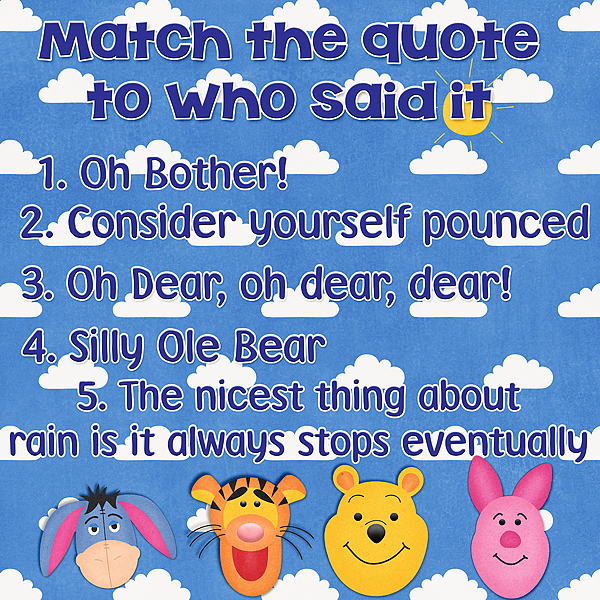 Answer the questions about who said which quote. Today is the last day to save on Hunny Bear! So happy to have this quick page to go with the bundle I bought last week! Thank you so much for sharing it with us.